Crafts by MGM | Fun Craft Tutorials and Ideas! Now also selling duct tape products! Fun Craft Tutorials and Ideas! Now also selling duct tape products! Hey Guys! 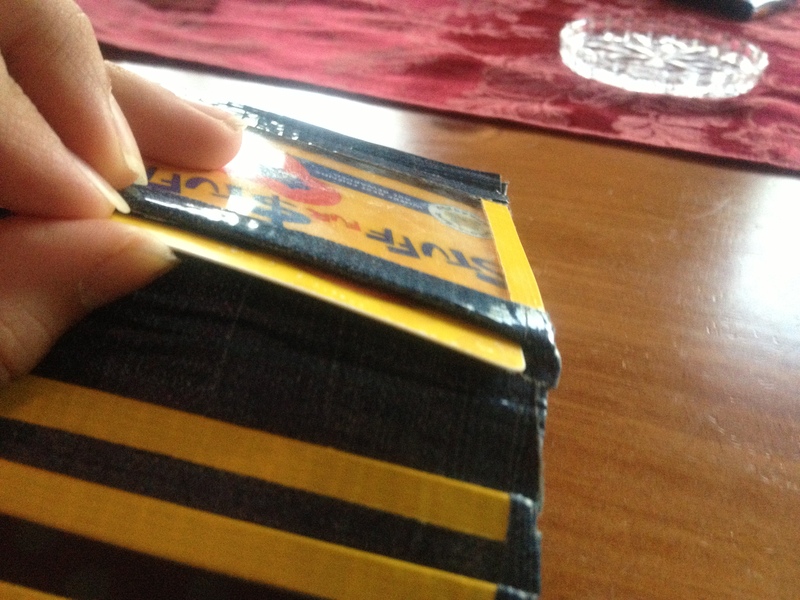 So, sadly I will not be posting on here anymore, but i do now sell my wallets! If your interested, please go to: craftsbymgm.weebly.com . I have a bunch of wallets and accessories! 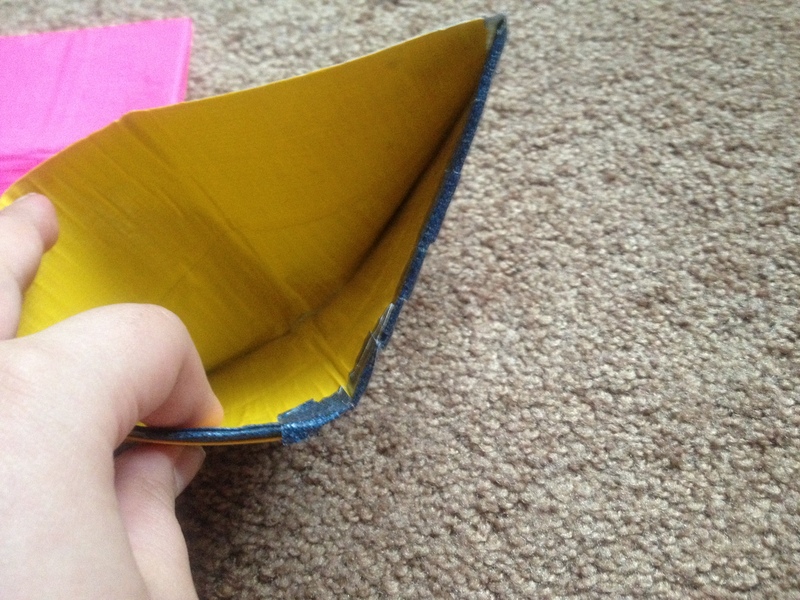 For a limited time only, I am taking custom orders, so hurry if you want your own custom handmade wallet! And if you do want one email me at: craftsbymgm@gmail.com ! Bye Guys! Again, if you want to see my crafts more often go to my instagram! Hey! I wanted to notify you that I’m having a haul on instagram and you tube! If you guys want to see me more follow me on my instagram or you tube. I post every day on instagram and once a week on you tube. Bye guys! Sorry I havent been posting! So I got a Instagram and I’m so excited! Come follow me on Instagram! I post daily and you will see a lot more wallets on there! Hey everyone! Happy 4th of July! P.S Happy 4th of July!!!!!!!!!! I’m not going to be posting for a week or so, I have to get new duct tape, and I have to get somethings. Don’t worry though, I’m not quitting! I’ll see you guys in a week! I may have some drafts get published though so, you can still check for updates! 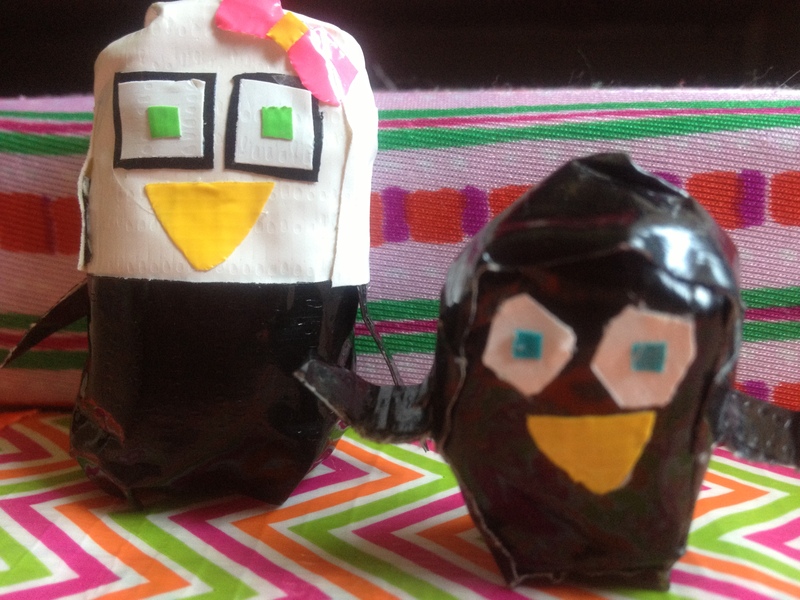 Duct tape designs and figures! Ms. Piggy and Mr. Piggy! I made these free handed. 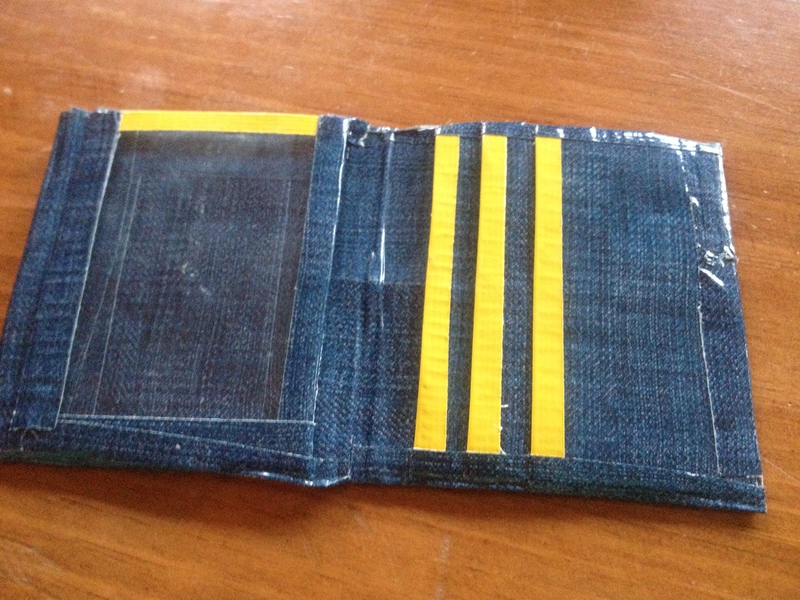 I put them on a duct tape sheet so I could pull them off and put them on a wallet! I also made that bow. I thought a pink polka dot bow would look cute! Ms. Pingy and Mr. Flippy! Mr. Flippy was my first one and then I made Ms. Pingy. 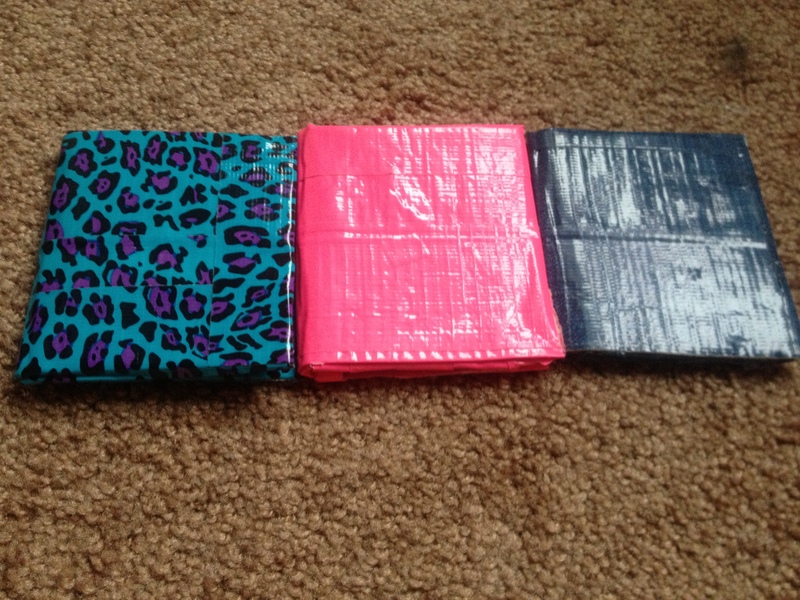 These are 100% duct tape, it’s just duct tape covered in duct tape. Hope you liked my duct tape designs and figures! 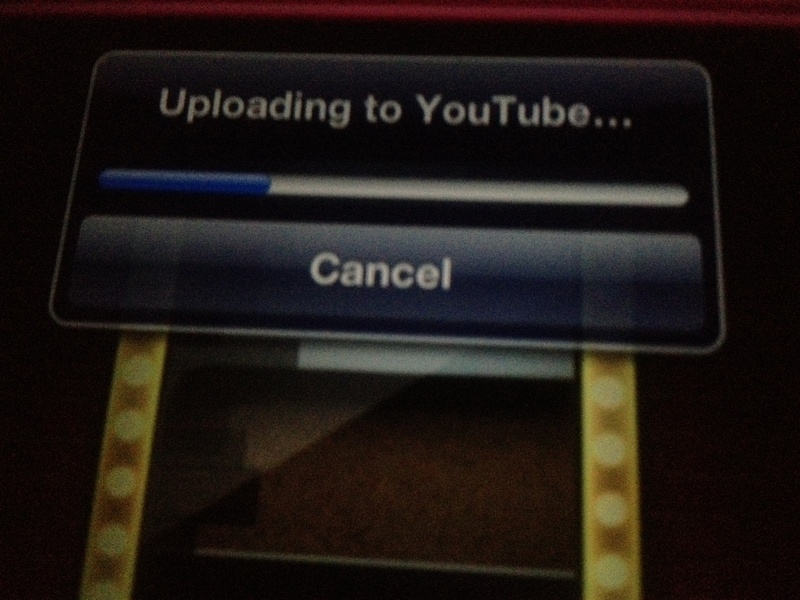 2nd video on you tube! So I put my 2nd video on you tube! It took a LONG time to load, but I was jumping up and down when it was loading. If you guys want to see my 2nd video click below. And if you want a sneak peek, stay tuned. Hey Guys! 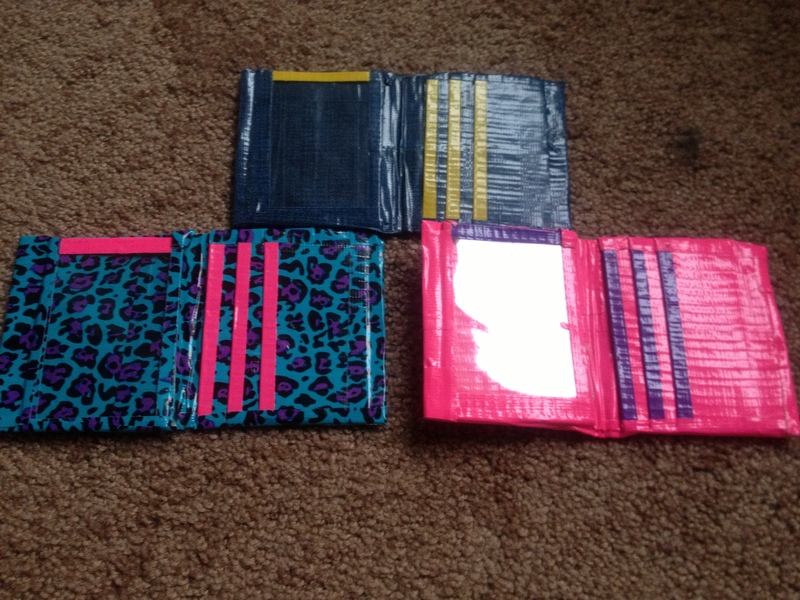 Today I’m going to show you some duct tape wallets I’m starting to get into, I give the design credit completely to DN Crafts, other than the 2 entrance hidden pocket which I’ll show you later. Okay, now I’ll show you some pictures. 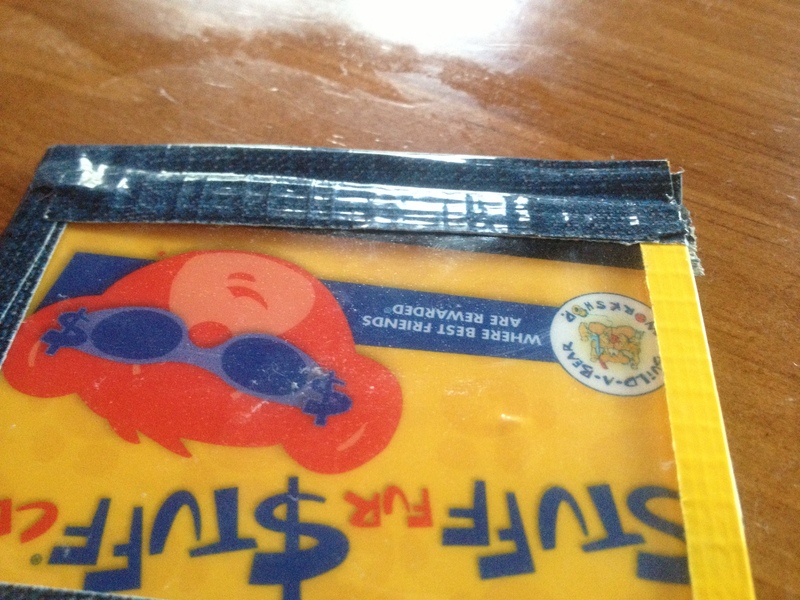 And a yellow bill fold. Pretty soon on my You Tube I’ll be posting a tutorial for this so, check for updates! And then I made 3 more but one of them didn’t turn out good because I was trying to rush through it. I’m going to show you the 2 others and this one right now. This is the inside. pink trimming, purple trimming, and again the same yellow trimming. 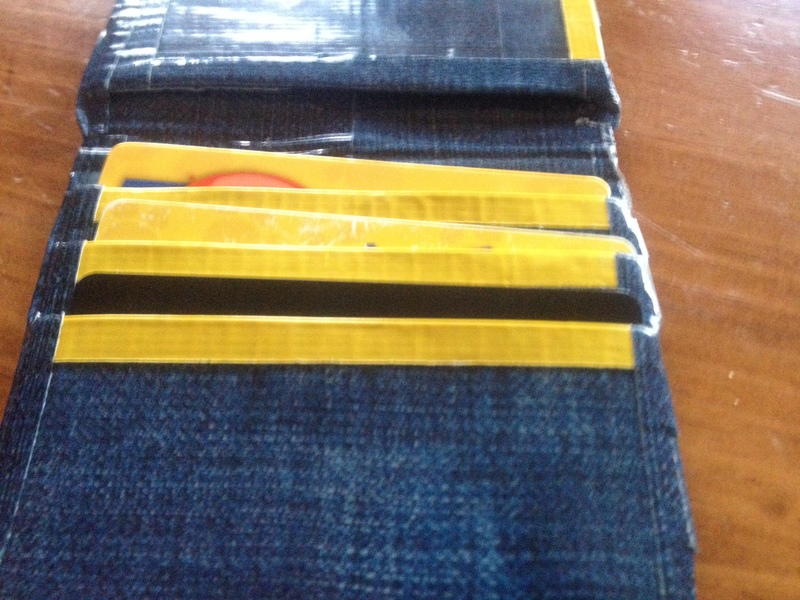 All of them have 1 ID, 1 Billfold, and 3 credit card holders. Yep those are all my good smallets. Again, DN crafts I give full credit on the design except for the hidden pocket. You should go check out her you tube channel! I have a question, if I were selling wallets would you buy from me? Comment below to answer my question! Hi again, so today I kind of felt like doodling, so I decided to show you guys some of my doodles, there’s 2 butterflies! 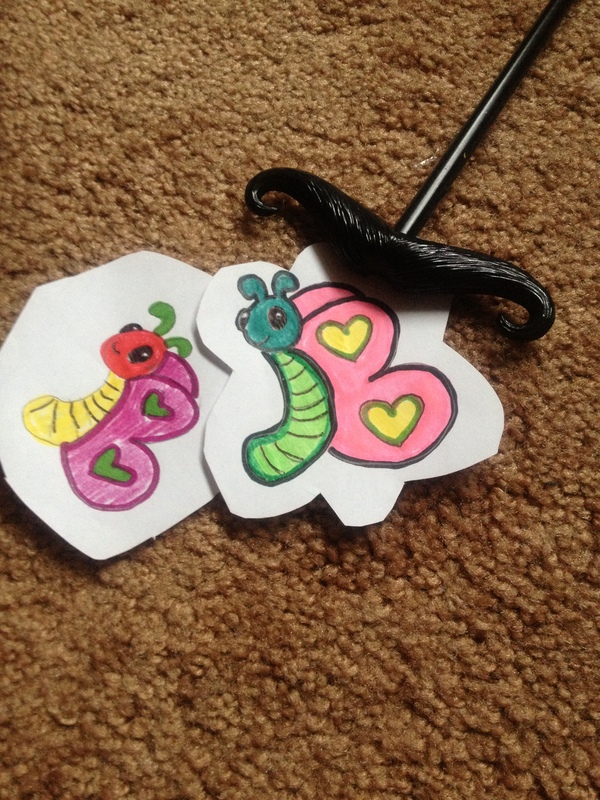 These were doodled by marker, crayon, and colored pencils! On the side is my mustache pen, I really like that pen for out lining my doodle. That’s all the doodles for today! Enter your email address to follow this blog and receive notifications of new crafty posts by email. Press here to see all my categories! Come follow me on Bloglovin!